The cafe is an ideal space for Wedding Receptions, Birthday Parties, Anniversaries, Christenings, Afternoon Tea’s, Funerals and many more. Here at Kitchen Garden Café we pride ourselves on offering you a venue that is tailored around exactly what you want from your celebration. Think of it like a home from home, somewhere you can relax and really enjoy yourself. We offer sensational food and drink at affordable prices. Canapes start from £3 per person with a delicious hot or cold buffet ranging from £5 per person. We can tailor our food offering to suit all occasions and tastes giving you the flexibility to create your own special menu. Please contact us to arrange an appointment so you can pop in to view the cafe at your convenience. We can personally tailor our packages and offering to suit your needs so if you have a certain budget in mind please do let us know and we will try our best to accommodate you. When hiring the Kitchen Garden for your wedding you will have access to your own private bar and outside courtyard area surrounded by fairy lights and rustic furniture. Have the whole place to yourself or just hire out our back room, it’s up to you. We are licensed until 1am with your own Band or DJ very welcome. If you’re looking for relaxation & rustic charm then look no further. With a maximum capacity of 70 for a seated meal or 120 for a buffet / BBQ or Hog Roast, the possibilities are endless. Thank you so much to all of our lovely Wedding Couples for your 5* reviews on the Bridebook website. 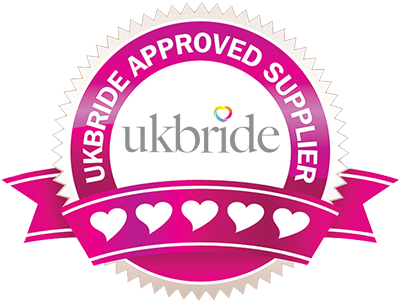 We have been awarded The Gold Bridebook Wedding Awards 2019 Badge of Excellence!! !